This is a brilliant homage crammed full of renditions of those famous comedy sketches, that hits all the right notes! From Greig's Piano concerto to Mr Memory, "Arsenal!" 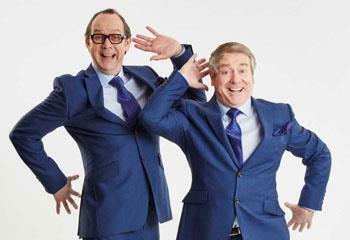 It’s a show full of Morecambe and Wise's most loved routines, songs and sketches and of course a musical guest. This wonderful show, evokes memories of times when whole families would huddle around the telly on Sunday evenings.